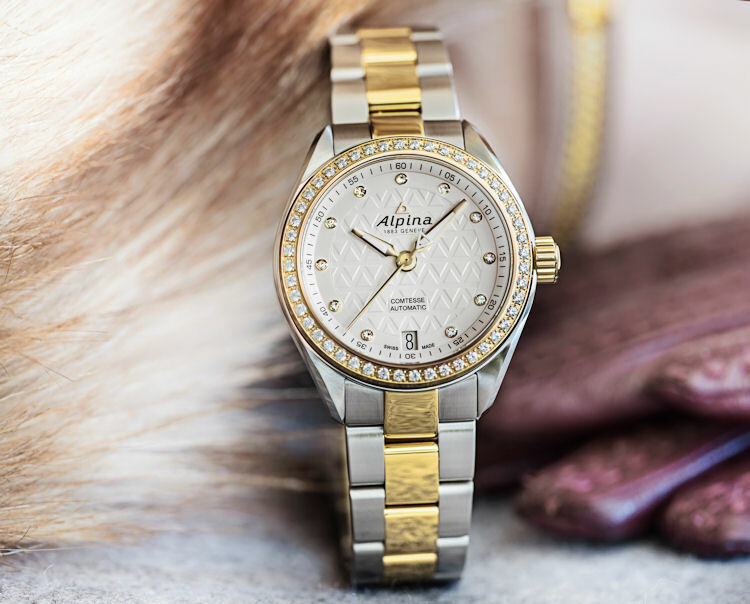 Founded in 1883, Alpina is an independent, family-owned pioneer in the field of Swiss sports watches. Embracing that heritage, the brand teamed up with world-renowned, multi-gold-medal-winning skier Tina Maze to launch its new Comtesse Lady line during the FIS Alpine World Ski Championships in Vail, Colorado, which concluded February 15. 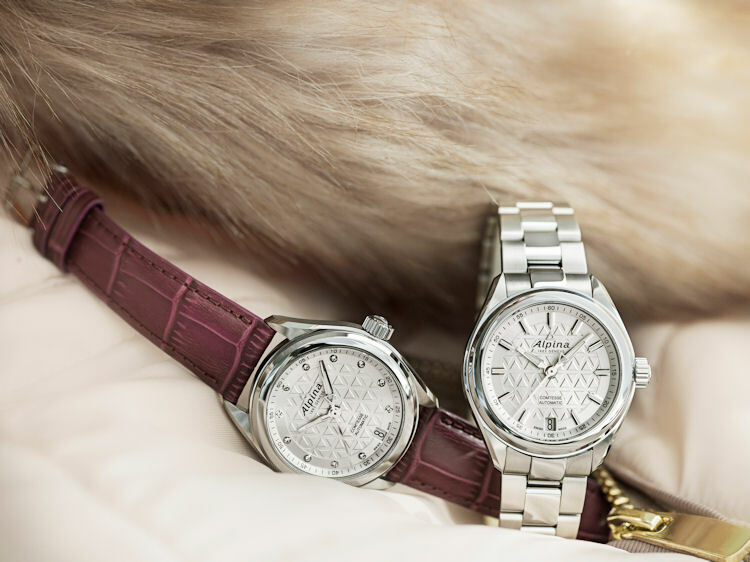 Alpina first launched its Comtesse ladies’ collection in 1963. 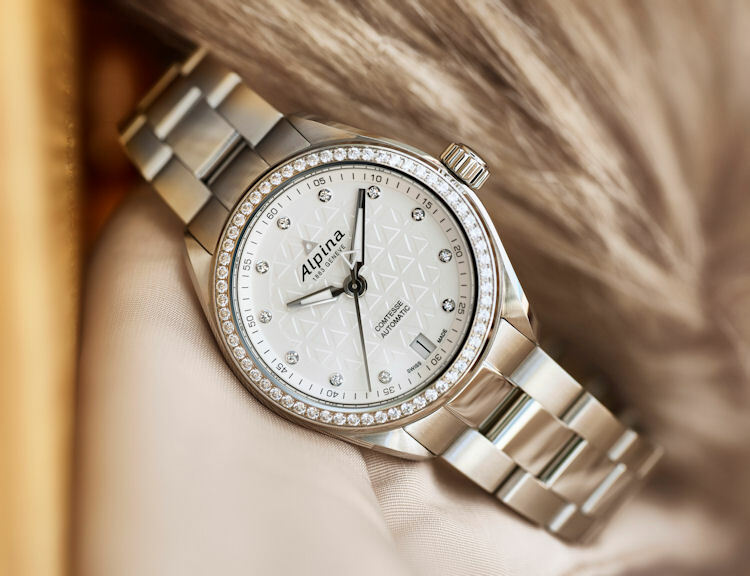 The line represented a milestone in Alpina’s commitment to fine ladies’ sport watches that dates to the 1920s. 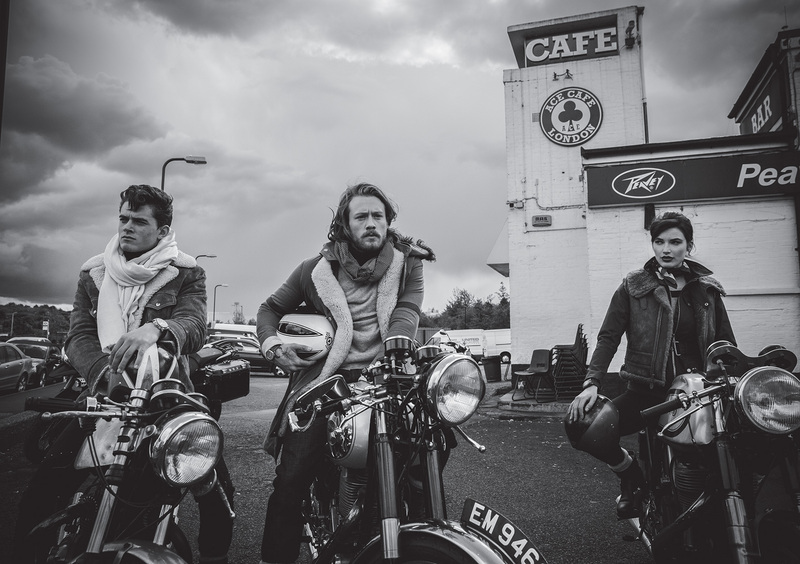 The new line embodies Swiss Alpine chic with a strong yet elegant presence. The Comtesse range includes five watches, from a stainless steel model on a strap to a yellow gold two-tone model with a diamond bezel and 11 diamonds on the dial. All models feature refined guilloche on the dial in the pattern of Alpina’s triangle symbol, and all watches are water resistant to 100 meters. Alpina came to Vail to support its global brand ambassadress Tina Maze in her quest for additional ski world championship medals. Maze won three medals in Vail – gold in the women’s combined and in the downhill, and silver in the GS. One of the world’s leading skiers, Maze won two gold medals at the Sochi Winter Olympics. 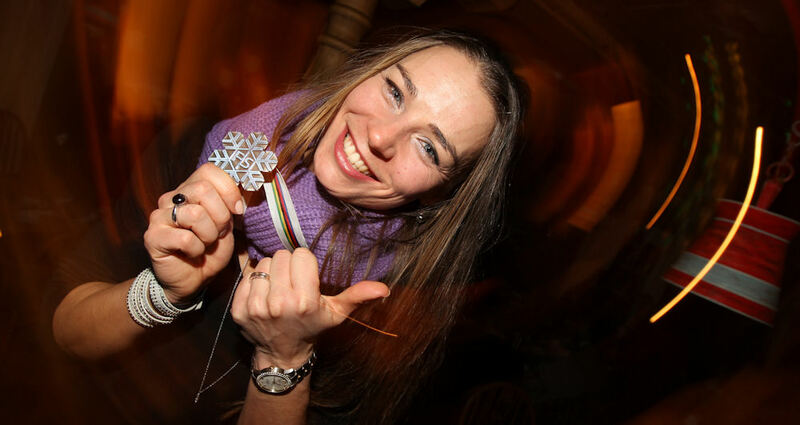 In 2014, she set the absolute record of 2414 points in one season in the Alpine Skiing World Cup, breaking Hermann Maier’s record of 2000 points set during the 2000 season. Maze currently leads the 2015 FIS World Cup standings. 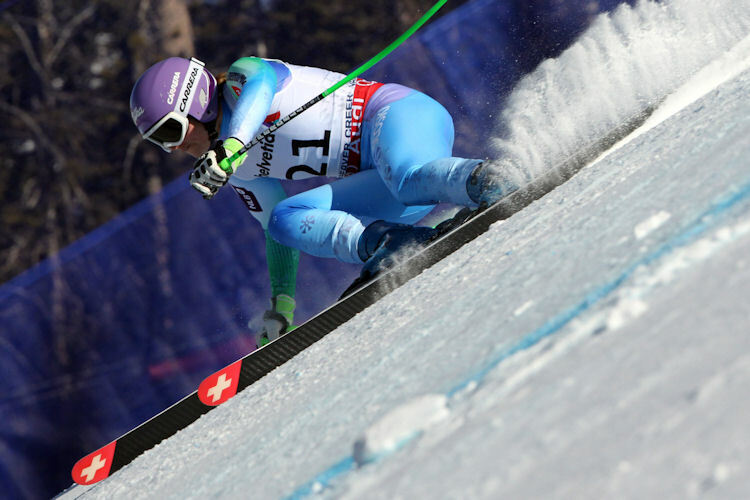 Tina Maze competes in the downhill and wins Gold at the 2015 FIS Alpine World Ski Championships. 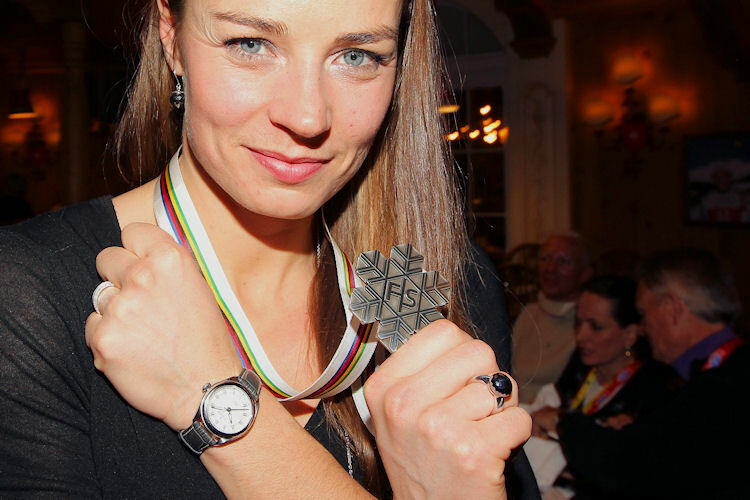 Tina unveils Alpina’s Comtesse Lady collection after receiving her Silver medal in the women’s GS.